Peli Storm Cases are designed with focus on innovative features and performance. 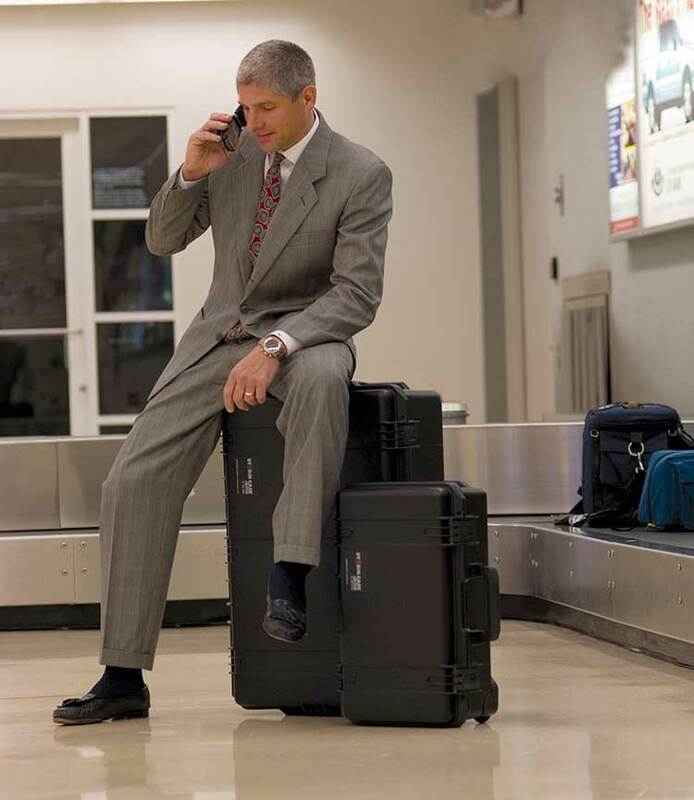 You’ve got equipment to protect, and a Peli Storm Case is the best way to do it. The Vortex® Pressure Release Valve of Peli Storm Cases is a patented feature. Air travel prevents vacuum lock to make opening the case natural even after extreme altitude changes. At the same time, the microscopic filter blocks water molecules and dust particles so your gear stays clean in the Gobi and dry on the Nile. This pressure equalisation valve avoids manual intervention. Peli Storm Cases feature Press & Pull® Latches. These smooth-opening, dependable, patented latches hold tight under pressure and impact despite fast-opening performance. With moulded-in lockable hasps (twin mating hasp holes on the rim of the case), Peli Storm cases allow attachment of padlocks to keep your gear in and thieves out. And check out Peli’s TSA approved cable padlock. Now you can check your baggage with confidence while flying in the USA. The Travel Security Agency has the key, and you have the combination. Peli Storm Cases have a unique durable hinge design. Integrated feet ensure flat surface for standing while complete solid hinge provides extra strength. Peli Storm Cases feature a rigid plastic core with soft rubber overlay for maximized rigidity and comfort in carrying large or heavy loads. The non-slip design makes sure there is no loss of grip in wet situations. The Wide design of the handle is perfect for larger hands or gloved hand. Shielded from dust, dirt and other contaminants – ball bearing wheels provide low-friction, low-drag rolling with retractable handles for easy movement of heavy loads. All Peli Storm Cases are produced in South Deerfield, Massachusetts. 23 Current sizes to meet market need and various custom application options. Legendary Guarantee of Excellence: This is the strongest guarantee that a manufacturer can offer. All Peli Storm Cases are forever guaranteed. Due to specific European regulations, Peli is not allowed to offer a “lifetime” guarantee. However, in an effort to legally remain in that spirit, we are proud to say that Peli Storm Cases are Legendary Guaranteed.